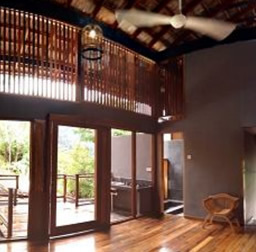 The double volume Villa Halia (Corner Suite) is 350 square feet in size and is interconnected to Villa Shorea. The Corner Suite has a king-size bed, a private kitchenette, an outdoor deck for barbeque, private dining or outdoor massage. The bathroom comes with an outdoor long bath, vanity and WC. 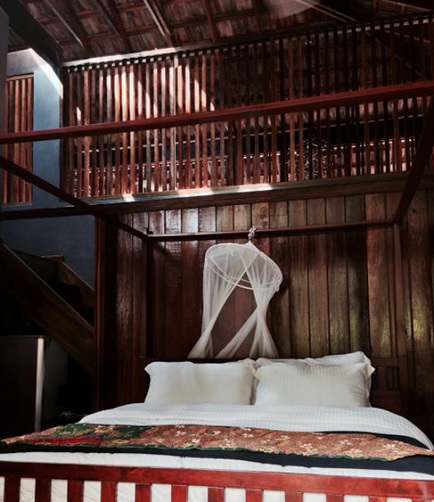 The whole Villa Shorea + Villa Halia can accommodate up to 8 adults. For privacy, Villa Halia is only available to those who take Villa Shorea.